Other Notes: Hops – Simcoe, Citra and Centennial. 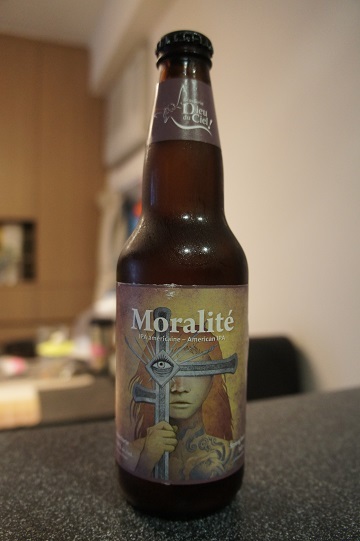 Brewer Description: (from website) The concept of Morality is perhaps a subjective one, as the history of alcohol in Quebec may demonstrate. 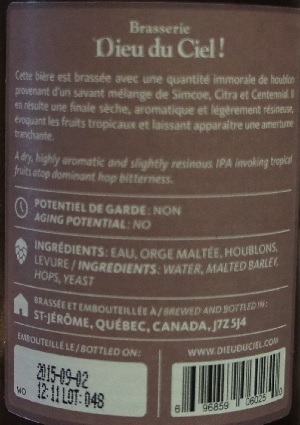 This IPA is brewed with a dare-we-say excessive quantity of Simcoe, Citra and Centennial hops. The dry finish is highly aromatic and slightly resinous, invoking tropical fruits atop dominant hop bitterness. 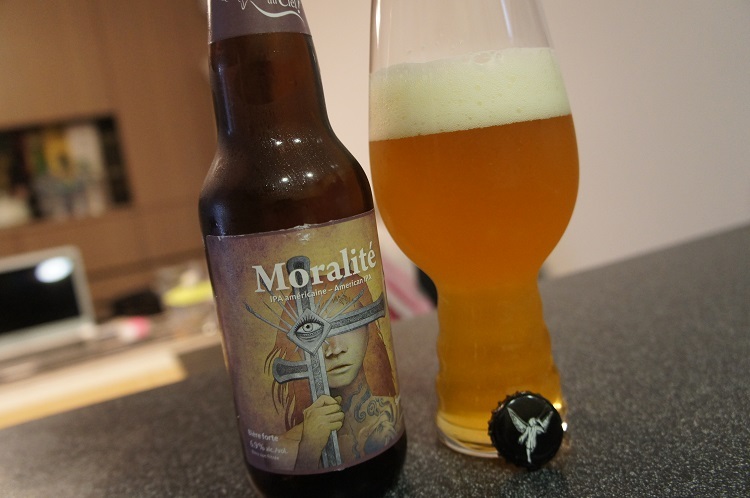 Moralité was crafted at our Montreal location in 2012 in collaboration with John Kimmich of The Alchemist brewery in Vermont, USA. Intro: A 341ml botte with a bottled on date of 2nd September 2015 and poured into a Spiegelau IPA glass. Appearance: It poured a bright golden orange colour with a two finger white head that leaves nice spotty lacing. 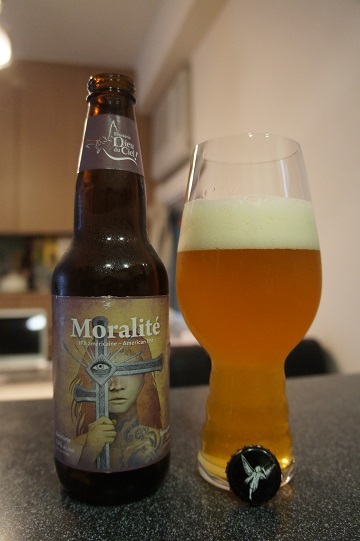 Aroma: Nice strong citrus orange and grapefruit with a hint of peach, apricot and pine. Taste: Citrus orange fruitiness and pine mixed with grapefruit and orange peel lasting bitterness. Overall: Yum, a very nice collaboration with The Alchemist. Very nice fruitiness and bitterness that works well together and is balanced. Something that I would definitely be on the lookout for and purchase again, especially if I can find it fresher.